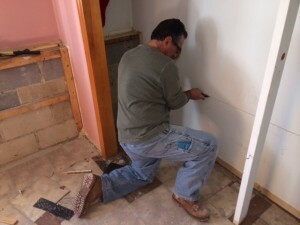 AllStates Restoration has been in the home water damage repairs and restoration business in the North East that include NJ, NY Southern CT and Western PA since 2008. We have the expertise to get your water out and your home dried out carefully and in a timely fashion. Our certified and experienced experts understand that the last thing you need when your home floods is more stress than you already have. We will handle your emergency water damage cleanup and repair work immediately and professionally – to your total satisfaction and peace of mind. We will: Estimate the extent of your water damage or flood; bill your insurance company, start water removal as well water extraction, take care of content restoration and storage as well as complete all needed water damage restoration of your property or office. 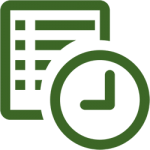 Free estimate with one of our certified experts. We will look after all communications with the insurance providers regarding the restoration and repair work until it’s done. We will do everything we can to restore your life and property back to normal and as soon as possible, as though your water damage emergency never take-place. 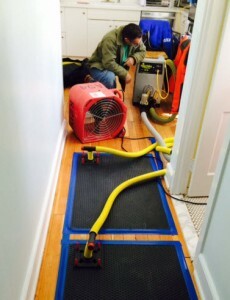 No other emergency water damage restoration service provider in New Jersey and New York has more experience, equipment, and training in structural flood and water damage drying out than AllStates Restoration. Any water damage to your NJ or NY property is demanding and discouraging. In most cases, regardless of the magnitude of the flood, carpet manufacturers void carpeting warranties as water damage typically damages the latex backing on the carpet. However, the important point to keep in mind is to act quick to consist of the damage and begin the water cleanup procedure to remove the water and dry-out your carpet. Cupped, water damaged hardwood flooring is without doubt one of the most challenging and complicated materials for our industry to dry out and demands experience, finesse and good common sense to reverse the damage. At AllStates Restoration, 24/7 we’ve been trained in the use and application of state-of-the-art wood floor drying platforms to help save your wet hardwood floor. Wooden flooring responds slowly to dampness so it’s important to act immediately when you find out, warped, cupped or discolored water damaged wood floors. Any time hardwood floors is water damaged, there really are two primary negative outcome that concern us: permanent structural damage and mold growth. It is our objective avoiding both negative effects and both are a function of moisture content. “Normal” moisture content for a hardwood floor will differ from as little as 6% to as high as 12%. A flooded or water damaged hardwood floor can achive 40% moisture content and also be above 16% MC for a few weeks and perhaps even months if left to naturally dry on their own. According to the EPA, in less than 48 – 72 hours, mold and mildew can start growing on many materials that has a relative level of moisture of 16% or higher. Time is your enemy with regards to water and also your hardwood floors since the moisture, temperature level and dust layer under a wet wood floor gives a pretty good environment for mold. Leaving wet floor surfaces naturally air dry is not definitely worth the potential risk. Attic water damage is more common than the majority of home-owners realize. Condensation and Ice dams are in particular winter weather phenomena, especially in cold, snowy climates like the north east. However, even in warm climates, NJ attic water damage is typical too. Leaky roofs trigger loss issues not just to the attic, in regards to damp insulation, electrical shorts, and content damage, but also cause water damage to ceilings, walls and flooring inside the house. There-for since this area of the home is not regularly seen, property owners normally find attic water damage by accident or when other areas in the residence have actually been noticeably affected. Ceiling water damage is simply because of few basic causes that will have to be addressed before repairing the ceiling itself. 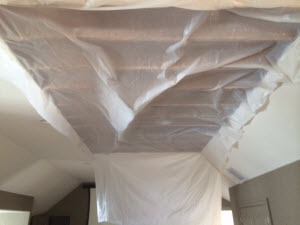 Any time ceiling water damage is fixed without dealing with the source of the damage, future ceiling problems will carry on to occur until the main problem is taken care of and repaired permanently. A leaky roof top is a possible cause for ceiling water damage. One more common cause for ceiling water damage is due to condensation from your air conditioner. A burst hot water heater in the attic also can cause ceiling water damage. On top of that, whenever there’s upstairs bathroom water damage, it may reflect over the downstairs ceiling right under the affected area. Last but not least, leaky pipes are an additional possibility for water damage ceiling. 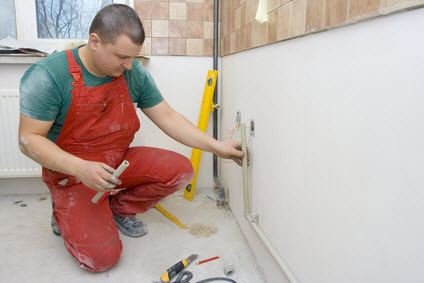 Irreversible drywall water damage occurs rapidly and unless dried immediately, it deteriorates and needs replacing. When drywall is exposed to flooding, it soaks in the water quickly and swells-up. Additionally, a huge concern with wet drywall is the growth of mold and mildew and the associated health issues these pathogens bring. 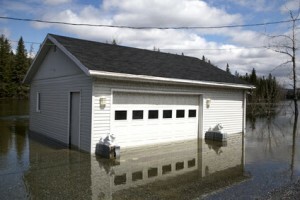 Although garage water damage often accounts for significant restoration and repair needs during flooding or heavy rain-storms, property owners hardly ever consider that likelihood until after the fact. The garage, commonly, isn’t thought of as an extension of the house, so that there is very little proactive attempt to protect it from the elements. Most of the time, the garage is prone to water damage due to the fact that there is no tight seal that keeps water entry. Yet another reason is that the items stored in the garage often obstruct minor leaks from being seen until there is more major and more expensive damage to repair. Is it really safe to stay in the property? Only do activities which are safe for you to perform. Wet materials could be VERY heavy. Be careful! Remove excessive water by mopping and blotting. Wipe excess water from wooden furniture after removing of lamps and table top items. Remove and prop wet upholstery and soft cushions. Place aluminum-foil or wood blocks in between furniture legs and wet carpeting. Turn on air-conditioning on for maximum drying in summer. Remove colored rugs from damp carpets. Remove fine art items to a safe, dry place. Don’t leave wet fabric materials in place. Hang furs and leather possessions. Don’t turn-on television or other household appliances. 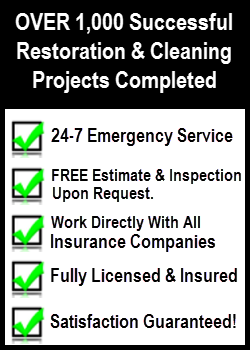 AllStates Restoration has been in the water damage clean up and restoration business in Tri-State area ( NJ, NY, CT, Western PA). We will estimate the level of your flood damage, bill your insurance, perform water extraction, as well as full all necessary water damage restoration of your home or business. To schedule NJ Home Water Damage Repairs appointment, call 732-722-5211 or click here.